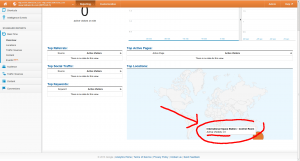 41 Active Visitors from ISS – The sharpest minds read Talkwards! 41 visitors from ISS (The International Space Station)! 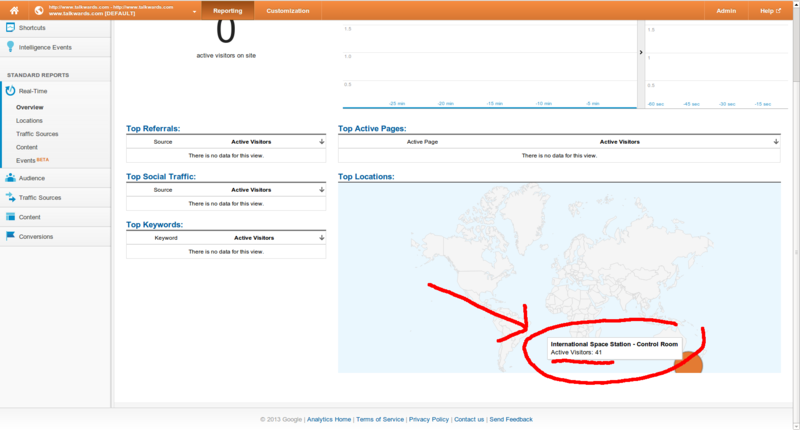 Now, given my usual visit stats… this means a majority of my visitors come from ISS! Woh! So, only the worlds sharpest minds read my blog. But wait?! How many people are there up there actually? 41 active visitors… that must be one crowded control room! Checking the net tells me there’s only 6 people up there… guys! did you start an ISP?! Can this be a bug? Nah! The zero must be the bug and I am sure those six astronauts are like super smart and obviously they have several browsers going at once… I mean, they need to get all articles quick? Right?